Home » endangered species » Modoc Sucker no longer endangered? After almost 30 years on the endangered species list, the Modoc sucker (Catostomus microps) is up for delisting, according to an article from the Klamath Falls Herald and News, by Lacey Jarrell (found on the Oregon Public Broadcasting site) (see also this excellent post on the Introduction to Fisheries blog). The species, which lives in a small area of northern California and southern Oregon, was listed by the state of California in 1980, then federally in 1985. Its decline was a side effect of the usual suspects: dams, logging, road-building and grazing practices, and its apparent recovery is due to concerted (and ongoing) efforts to curtail such damages. It is a small fish (usually only 3-6 inches, but can get up to 11 inches) with a small range (now estimated to include 12 streams, amounting to just over 42 miles of water). The Sacramento sucker (Catostomus occidantalis) inhabits some of the same waters as the Modoc sucker, and there was concern that hybridization could lead to both species’ demise. 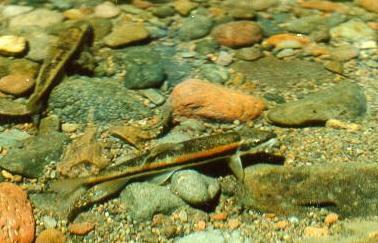 Fortunately, the two species use different habitats, spawn at different times of year, are much different in size (the Sacramento sucker can reach two feet in length), and very rarely hybridize. The delisting process takes a year. There is a 60 day public comment period, so if you know something that needs to be said, you have until April 14, 2014 to say it. There will also be independent scientific evaluations of the species’ status. At the end of the year, the species can be delisted entirely, downgraded to threatened, or left on the endangered list. 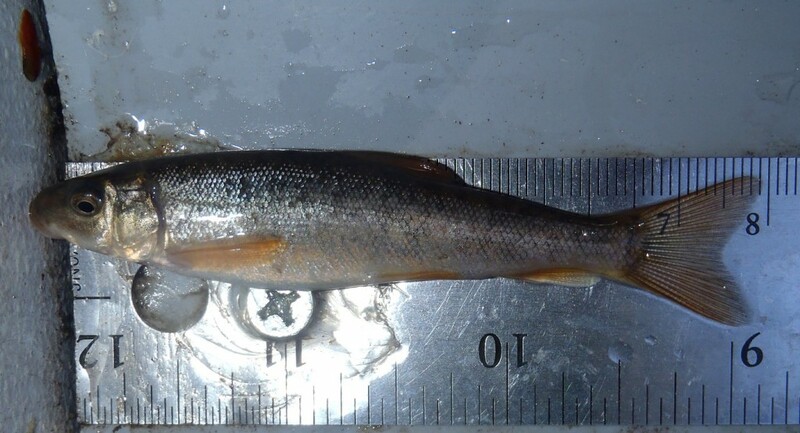 This is apparently only the second fish species to be considered for federal delisting, after the proposal only a week or two earlier to remove the Oregon chub from the Endangered Species List. As Jarrell’s article points out, fish are not usually delisted for reasons other than extinction. Biologists involved are justifiably excited at the prospect. Could this move have been spurred by pressure from some entity with clout and a desire for the freedom to damage a watershed for short term gain? I’ve watched enough good environmental news turn bad over the years that I can’t help but be cynical. Though I’ve seen no hard evidence that this delisting is anything other than a consequence of policies and practices that accomplished their goal, I worry that this move is based on factors other than the species’ actual recovery. The petitioner that started this process is The Pacific Legal Foundation, which calls itself “the first and oldest conservative/libertarian public interest law firm in the United States” and says it “was established for the purpose of defending and promoting individual and economic freedom in the courts.” When someone touting the recovery of a species has economic or philosophical, rather than scientific and biological, motives, I am suspicious. If delisting occurs, regulations that have protected the species’ habitat (by making ranchers water their cattle away from streams and erect fences to keep cattle from grazing too close the water, for example) will be removed. If such oversight is relaxed, it will not be surprising if the same factors that almost eliminated the Modoc sucker before push it right back to the edge. Or over it. It is important to note that two other federally listed (i.e., endangered) sucker species exist in the same area. The Lost River Sucker (Deltistes luxatus) and the Shortnose Sucker (Chasmistes brevirostris) (mistakenly called “snortnosed” in virtually all the news articles about the Modoc’s delisting, showing rampant plagiarism and ineffective editing) are found in the same counties and face the same threats as the Modoc Sucker. Both were listed in 1988. Though critical habitat designations were proposed in 1994, no action was taken. A second attempt was not made until 2011 (after a lawsuit that forced the issue), and this time the effort was successful. Regulations went into effect in January, 2013. According to Oregon Wild, however, major portions of the fishes’ ranges were left out of the designation, to the detriment of their recovery. They report that the area included in the new ruling is 75% smaller than what was proposed in 1994. Ironically, the Lost River is not included. It is easy to believe but hard to stomach that for almost two decades after being recognized as endangered, nothing was done to actively protect these fish. Perhaps, given the apparent success of critical habitat regulations in the case of the Modoc Sucker, there may be hope for these other species. On the other hand, my initial reading of numerous federal documents and news articles seems to indicate that the protections now in effect fall into the “least we can do” category, and populations are apparently continuing to shrink. (See below for links.) In 2009 a petition was filed to delist both the Lost River and Shortnose, apparently by agricultural/irrigation interests. The feds determined there was not sufficient cause to delist. I would not be surprised to see more such petitions, since the battle over water and endangered species in Oregon (and California, probably) is still going strong. Oregon Wild’s Klamath suckers page (Oregon Wild sued the federal government to force the designation of critical habitat). For an article about the shortcomings of the critical habitat designation, see this article on the Oregon Wild site. For more info, see the USFWS species fact sheet for the Lost River Sucker and the species fact sheet for the Shortnose Sucker. For all the official documents, see the USFWS species profile for the Lost River Sucker and the species profile for the Shortnose Sucker. All images from the USFWS Pacific Southwest Region on flickr. All 3 photos cropped by Olaf as permitted by their Creative Commons License. Tomelleri image: http://www.flickr.com/photos/usfws_pacificsw/7310626968/ (shared under the same Creative Commons License as the photos). Tagged California, endangered species, environment, extinction, Lost River sucker, Modoc sucker, Oregon, Sacramento sucker, shortnose sucker, suckers, USFWS. « Redhorse Army, show your allegiance!